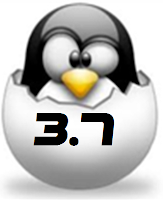 The version 3.7 of Linux Kernel was just released few days ago (11 December). In this version there are a lot of interesting features, and I will mention only unified system architecture support for ARM, TCP Fast Open and Virtual extensible LAN tunneling protocol. For an extended list of the new features, you can check a list here. This entry was posted in Uncategorized and tagged kernel, kernel 3.7, linux, tcp fast open on December 19, 2012 by razvan.